Hailing from Korea and focused on sandbox orientated mechanics is Black Desert Online a buy to play for those in Europe and North America. You’ve got most of the traditional MMO features and a host of interesting design choices to explore in the Black Desert Online universe. Central to the game world are the Black Stones which have corrupted the minds of the ancient civilisations and lay in the desert between the two major game civilizations who wage war over the resource heavy area. Despite the somewhat unique setting the story for the most part hides far into the background and is not a focus of your adventure. What is a focus though is exploring the wealth of content and impressively crafted world. 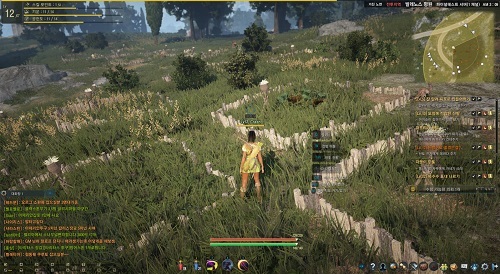 With lack of mechanics such as fast travel and flying the game feels much larger than similar MMOs due to the fact that you’ll walk (or ride) each step of the landscape. With a number of cities, resource gathering nodes and other vital locations the settings are all well designed and varied. Your avatar for this journey belongs to one of the available classes which are unfortunately gender locked with limited customisation but do have extremely high design standards and look impressive against the world back drops especially when unleashing their various skills. Combat is the shining star of Black Desert Online with a focus on action and fast pacing, as it is also one of the few ways to earn experience this strong combat design helps to counter some of the grind. Additional combat mechanics include mounted attacks, world bosses and large scale guild warfare. Things to do outside combat are also extremely diverse with trading, crafting, fishing, housing and taming. Some of these tie in closely to hiring of workers (NPCs) which adds a unique management mini-game (of which there are many mini-games) to the standard MMO formula. 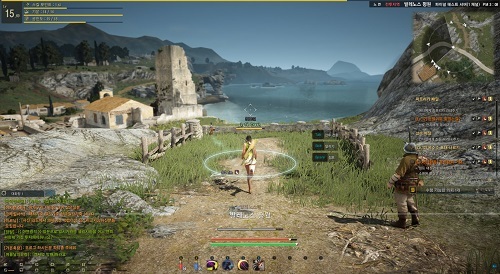 Black Desert Online takes some very interesting directions in MMO design and nails the sandbox MMO, it is not one for the casual player though due to the sheer amount of depth and corresponding time commitment required. Impressive and deep sandbox MMO title. Game world feels real with plenty of variety. Ideal for guild play with a focus on guild wars. Decent spread of PvE and PvP opportunities. Vast number of professions and mini-games.